My views: It is a slim book of less than 100 pages comprising of several essays which will prod you to take a re-look at your life. It will teach you to love the man in the mirror - YOURSELF, to realise that you are truly unique and to celebrate yourself and your individuality. 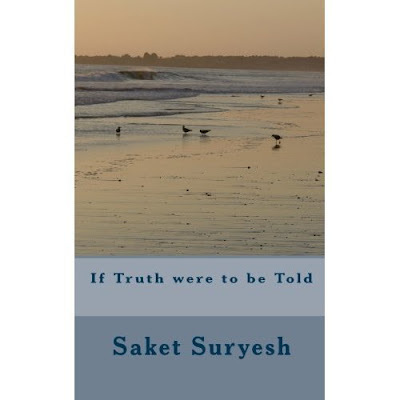 Saket Suryesh comes across as a very sensitive writer, who is attuned to his own feelings and who through his book: 'If Truth were to be Told', hopes that readers will learn how to be attuned to their own feelings and will understand and accept themselves for what they are and what they stand for. Too much planning dictates our life, yet we fail to understand that: ‘The Best laid plans of mice and men can often go awry’. In addition to our penchant for detailed planning, these days we are drowning in an endless cacophony of noises, especially noise from social networks. True, these do help to an extent, but an overdose of the same can kill. In the opening essay, 'Going with the flow' the author tells us, not to over-plan but to be flexible and open. Pick a destination and pick a direction, is the lesson in this essay. If you plan each and every turn, each and every step and arrive at your milestone but not in the appointed time or in the planned manner, we may give up on the journey itself. What matters is being open to deviations that may occur, to take obstacles in our stride and to reach the destination. In fact, this paragraph reminds me of a former boss of mine. He had a paperweight on his table, a unique one filled with sparkling blue liquid, he would tilt it and see waves appear. Watching the ebb and flow of the tides in this plastic cube, calmed him. I love looking out of the window at the sky. A tiny glimpse of the vast expanse of the sky grounds me. My problems then appear miniscule. I realise I am just a tiny speck in this Universe and yes, this tiny speck will be taken care of. Very often we ape others. Keeping up with the Joneses (substitute it with any name) is our routine. We covet things that others have. We lament that someone else got promoted and wonder why not me? We try and act like others. The truth is, that we need to realise we are unique, we have our own talents, each of us provides something different to this Universe. Learning to love the man in the mirror is essential; it will make us happier with our lives. We need to recognise our strengths and build upon that, sums up the author in the essay: 'Being Unique'. One needs to understand the context in which the author has penned this essay. He states: “Do not try to be what you are not, try to be more of what you are, so that you shine with the splendour of a thousand stars, whatever maybe the duration”. If one were to read the previous sentence appearing in this essay: “Do not try to expand the faculty you have never been blessed with”, one may think that the author is against learning, against new experiences, against broadening one’s own horizon. It isn’t so. What this essay denotes is that one must look deep into oneself, regain one’s lost self, utilise our best attributes and not try and be someone else. Other essays in this book are: Standing with one another; Love and virtue and Facing your Demons. Since I related to the last essay best, let me touch upon that. Haven’t we argued with ourselves and said we are not pursing a particular dream because it is not practical to do so? What is holding us back? Fear of being laughed at? Fear of failure? But nothing can be achieved without trying. This book is all about learning how to tap into the beauty of our inner child, our true self and bringing radiance to our lives. The author also provided a wide range of quotes, including at the beginning of each chapter, ranging from those of Rumi to Voltaire. I only wish the author had kept the introduction a bit crisper and avoided the use of some standard clichés. An index to this book would also have been helpful. Perhaps the author by writing this book has faced his own demons (it takes guts to write a book! 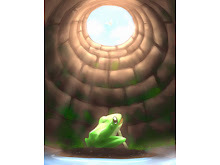 ), understood himself and others better and has come to terms with the complexities of life. Celebrate yourself, celebrate your individuality. This is what the book is all about. If you are asking yourself questions about the complexities of life and relationships or doubting your own inadequacies this book may just help you clear the fog. Note: This book was sent to me by the author for the purpose of review. I agreed to review it as non-fictional books on philosophy hold a special attraction. 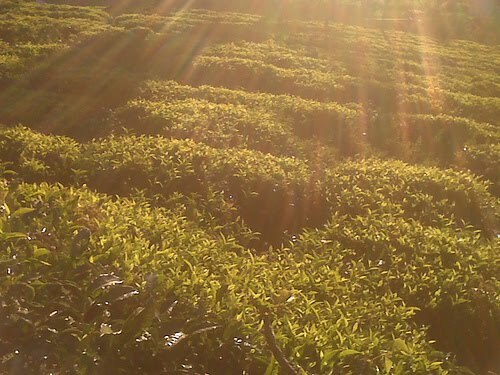 Photograph: I shot this photograph of sun-beams falling on tea bushes in Ooty, early morning in January 2011. Really enjoyed this post. We are so hurried in our days and in our ambitions , it's always a fine line to draw between being ourselves, and not trying to push ourselves a little further. Acceptance is hard, but I think that was one of the things you were trying to say, and I agree with that. I agree with Susan too. A lovely calming blog - a refreshing change from career/how to blog better - which I also enjoy learning from - but this was perfect for me at this moment in time. Thank you Susan and Andrew. Acceptance of the self and inner peace is important. The book brings up important issues. We all know and agree with what he writes but sometimes fail to think in positive and constructive ways. It may indeed be true that sometimes when we write about our own journey we can help others with theirs. I enjoyed this book review. I have gotten much better over the last ten years at trusting myself. @Catarina, Jules: Thanks for your inputs. Jules, I am so glad you have gotten to know and trust yourself. I agree with Susan also--just reading this post brought a sense of calmness to me too. I like the thought of looking at simple everyday things, like rain drops collecting and falling, and then "learning to do it again." 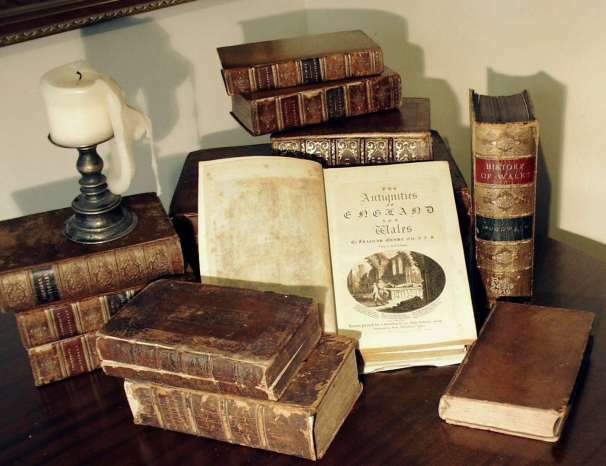 Some of the quotes you provided also show that the writer is very poetic in his style. I really like that. Thanks for reviewing this book. I will have to go check it out! Lubna, that is a wonderful review. I love the picture you took at Ooty. Reminds me of a visit to Ooty years before. The book sound so wonderful. In toronto, some weekends me and my family just go to wander around. We take the time to just looking around without any planned purpose. it is very relaxing and re-charging.